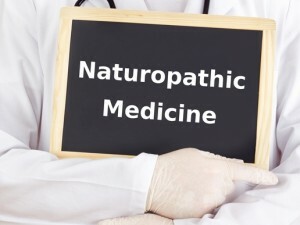 During the consultation, our Naturopath Dr. Jamieson will take a thorough history of your symptoms, take your medical history, do a physical exam if indicated, assess your case with a medical diagnosis and then formulate a personalized treatment. Treatment can be anything from vitamins and neutraceuticals, nutritional counseling, homeopathic remedies, acupuncture, botanical medicine, homeopathy or counseling. Derived from the Greek word “homeos” meaning “like”, and “pathy” means “suffering”. Homeopathy is a medical practice of treating like with like. That is, treating an illness with a substance that produces the same symptoms as those displayed by the person who is ill. Current medical opinion takes the view that the symptoms are a direct manifestation of the illness. Homeopathy by contract, sees the illness as it attempts to overcome it, and seeks to stimulate and not suppress this reaction. Homeopathy is essentially a natural healing process, providing remedies to assist the patient regain health by stimulating the body’s natural force of recovery. It concentrates on treating the patient, rather than the disease. One of the principles of homeopathy is that people vary in their response to an illness according to their basic temperament. Hence, a homeopath does not automatically prescibe a specific remedy for a specific illness. Instead he tries to determine the patient’s temperament and responses and so prescribe on a more individual basis. Patients suffering from the same diseases often require different remedies. Likewise, patients with different diseases may all benefit from the same remedy. Dr Samuel Hahnemann (1755-1843), the great German Physician, scholar and chemist in the late 18th and early 19th century, was the founder of homeopathy. Appalled by the existing medical practices which he believed often did more harm than good, Hahnemann sought a method which would be safe, gentle and effective. He believed that human beings have a capacity for healing themselves and that the symptoms of disease refelect the individual’s struggle to overcome his illness. Thus the homeopath’s task must be to discover and, if possible, remove the cause of the trouble and to stimulate the body’s natural healing power. In his experiment, Hahnemann found that remedies obtained from animal. Vegetable, mineral and, more rarely, biological materials were effective in extreme dilution. This was especially apparent in the case of poisons, which often produced symptoms similar to those of certain illness and which, in very dilute does, suggested themselves as remedies on the “like cures like” principle. Over a long period Hahnemann and his followers took small doses of various reputedly poisonous substances carefully noting the symptoms they produced. There were called “provings” subsequently patients suffering from similar symptoms were treated with these substances. The results were usually encouraging and often remarkable. 2. By extreme dilution, the medicine’s curative properties are enhanced, and all the poisonous or undesirable side effects are lost. according to basic temperament and responses. * Widely recognized as a safe and effective alternative to conventional medicine. * In general use throughout the world. * Prepared to impeccable modern standards of quality from pure, natural sources. * Completely safe, even for babies and children. * Curative, often (although not always) after an initial period of Healing Crisis. It is in the treatment of infants and children that the efficacy and safety of a homeopathic medicine manifests itself most fully. With the correct medicine the response is usually rapid and most effective. There is a mandatory warning on all medicines to keep them out of reach of children, which should always be observed. However, it is reassuring that even if a child is given an incorrect dosage, he or she will experience no harmful effects, nor any unwanted side effects during treatment. Homeopathic medicines not only act on a specific disease but on the overall personality of a person, hence it treats children who are very stubborn, irritable, cross, morose, cranky etc., and it also helps to build their resistance power. During pregnancy when all other medicines are to be avoided, homeopathic remedies can still be given. It is particularly effective for morning sickness and also aids normal delivery without complications. Menstrual disorders, ovarian tumors, uterine fibroids, cysts and polyps, menopausal syndrome, disease of breast and lactation, irritability, depression, infertility, and other symptoms can all be effectively treated with homeopathy. Homeopathy should be the first method of treatment for the whole family because it is effective, harmless, free of side effects, and safer than conventional drugs. Hippocrates, the father of medicine wrote as advice to physicians, “first do no harm”. This implores all to consider safe healing methods first before resorting to potentially harmful drugs.